From #MeToo grants to crowdfunding successes, solutions journalism is a hot topic at the moment. Now, one East Yorkshire-based news publisher is the latest to step into the ring to provide positive, solutions-orientated stories with a local twist. 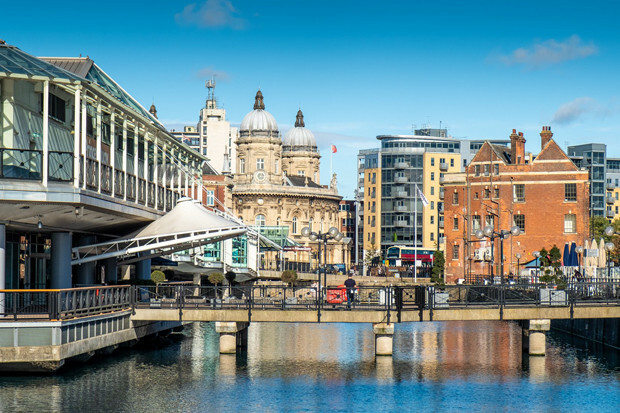 Constructive journalism project Hull Is This launched in November 2018 with early promise, reaching 37k hits in its debut month and 45k in January 2019. While page views alone are not always the best metric for measuring the success of editorial content, it does at least suggest demand for local, positive stories. "Constructive journalism, globally and nationally, has been gathering ground over the last five years or so," explained editor Jerome Whittingham. "This has been a trial run, particularly towards the end of 2018, but now there is such a public interest that we really need to double our efforts." A collective of around 15 local freelance journalists make up the project, with two key aims to provide local readers with a positive alternative to local news, and pay under- and post-graduates for their story contributions. "We find many news articles elsewhere are concentrated on a problem and a negative impact of that problem on business, mental health, communities, and the city as a whole," said Whittingham. "We’ve decided to flip that on its head, to look more at the solutions to problems. We recognise as a city, we might have issues. Rough sleeping has tripled over the past ten years here. We recognise there might be health and obesity problems, but instead of looking at problems, let's look at solutions and inform people about some of the routes and ways out of these problems." While Hull Is This currently relies on sent-in press releases for editorial content, these editorial guidelines show there is a strong story selection process behind the scenes. "When an article drops in my inbox from wherever, as editor, I judge it by one question: is this article adding to, or at least illustrating, the continual development of Hull and the businesses here, the communities and some individuals too? "If a new business is opening up, yes maybe I’ll be able to promote that. But I want to know the context: ‘why now?’, ‘what is that business going to be doing for the local community?’"
He points to a story around local NHS understaffing as a typical example of the type of positive news Hull Is This is delivering. "With concerns around Brexit, the NHS is finding it harder to attract nurses and staff from abroad,” explained Whittingham. "So the NHS here in Hull has done a couple of big open days for teenagers and extended work experience days to show young people a whole range of different career routes within the NHS. "That’s not just clinical and healthcare but also engineering, business management, marketing and PR — all of those routes have been highlighted at a time when these youngsters are selecting their GCSE options." Whittingham reasoned that the article could have concentrated on the issues of understaffing but instead opted for a solutions-orientated approach. "If we only focus on problems, the readers can at best feel helpless, at worst feel clinically depressed. By focusing on solutions, it's a much more empowering option within the news industry so people can begin to respond to these issues," he said. Can solutions journalism boost newsrooms’ cashflow? Find out more at Newsrewired on 6 March at Reuters, London.